Hawker jets have always been known for blending high comfort with high technology and efficiency. 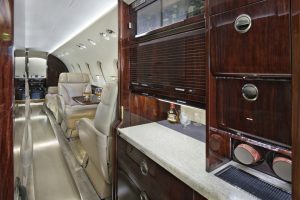 With the most spacious and comfortable cabin in its class, the Hawker carries a full complement of passengers and luggage along with full fuel and still has payload to spare. This allows you to reach more locations with ease, giving you unparalleled flexibility to efficiently go where you need in absolute comfort. An amazing climb rate allows you to reach 41,000 feet in just 25 minutes at maximum takeoff weight. 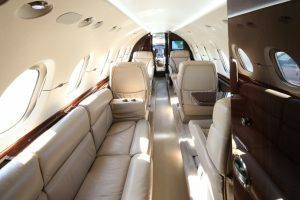 The Hawker 900XP can go non-stop to any point in North America, making it perfect for longer trips. On board you will find five plush leather seats with a three-seat leather divan. 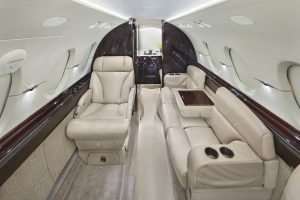 With 5’9” of headroom, the cabin provides a comfortable place to work, to relax and watch a movie, or to listen to some music on the on-board entertainment system. A fully equipped galley is available for hot meals en route, along with a full selection of refreshments. 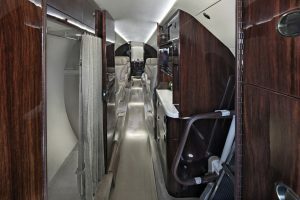 The Hawker also features two unique baggage areas in the cabin that are fully accessible during flight. 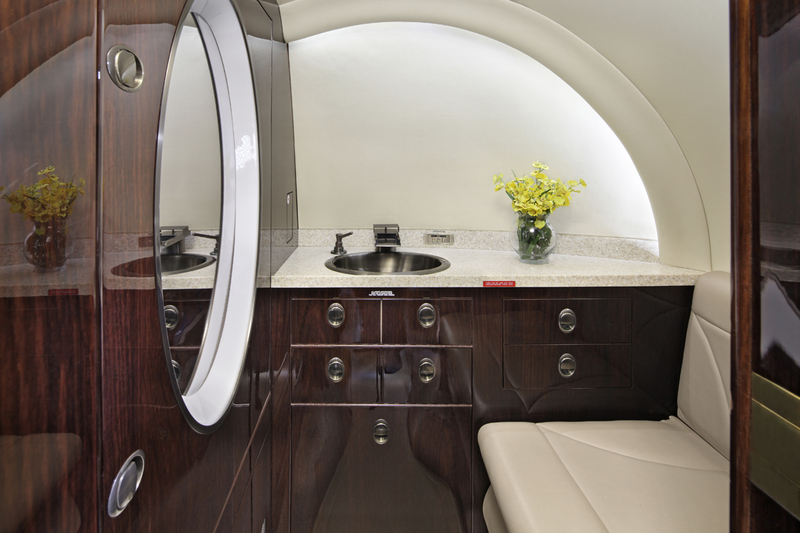 There is a full-sized, fully private lavatory in the rear of the cabin. To arrange your private viewing of a Hawker 900XP, call 888-797-JETS (5387) or email sales@aurorajet.ca.